Olde Towne - Most of the home just painted too! Roof in 2018/Carpet 2019! 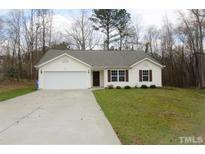 MLS#2242165. 1128. 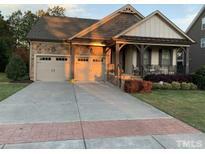 Cedar Lakes - 10 Minutes to I-540, 25 min to RDU/RTP MLS#2237031. 297. Terrell Plantation - Many custom architectural features that add to the warmth and feel of this spectacular home. MLS#2240457. 2017. Harwds, Plantation Shutters, FRESH PAINT, Nest Thermostats, Live Green Cert. MLS#2238278. 983. Averette Ridge - The executive home offers just over 3200 square footage of heated living space as well as a 882 sf unfinished walk up attic. MLS#2235495. 3770. 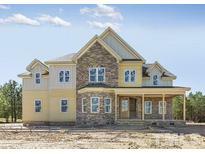 The Village At Rolesville - Neighborhood has pool, tennis and playground. MLS#2237120. 636. Near miles of greenway trails, parks, 2 pools; Heritage Golf Club, Swim, Tennis, Gym, & FIVE HIGHLY RATED CHARTER/PRIVATE SCHOOLS. MLS#2233595. 5191. Carlton Pointe - New Open Floor Plan, Durable $ite finished hard oak flooring, Profe$$ionally landscaped yard/ flower$ ready to bloom for spring,Perfect flow for entertaining all ages on the rocking chair front porch, & the open dining/kitchen/living room, & the breezy screened in porch, grill & socialize out back, play soccer, frisbee on the acres of mowed open area behind this lot, 4th Bedroom can be /office/den, home located steps to the park & pool, More upgrades for the $$ than new construction, 6" vinyl privacy fence$$ MLS#2235872. 4773. 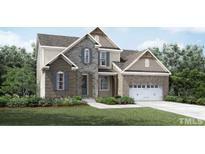 The Village At Rolesville - 200 sq feet of unfinished attic provides expansion possibilities. 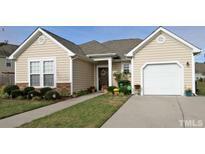 MLS#2235791. 1818. Large walk-in closets w/wood shelving in all bedroom, walk-in storage, rounded corners, lots of detailed trim work, bonus room w/builtins, beautifully landscaped & fenced yard, OVERSIZED screen porch & sealed crawlspace. MLS#2235553. 5204. Loft w/Bltn Desk! 3rdFlr Bonus w/1/2 bath! MLS#2235161. 1128. 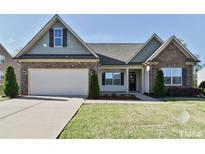 Finished Bonus on 3rdFlr w/1/2 bath! 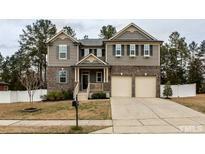 MLS#2233428. 1128.